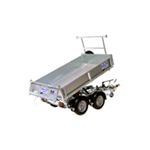 Welcome to Adare Machinery, proud distributor of the Ifor Williams range of Trailers in Limerick. 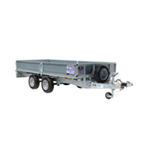 We have a wide range of trailers for sale in Limerick for agricultural, commercial and domestic use with a maximum weight of 3500kg. 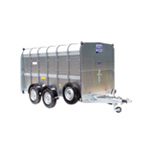 Our Ifor Williams Horsebox Trailers and Livestock Trailers, are renowned for their durability and professional build and are the trailer of choice for equine professionals and Irish farmers. 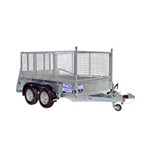 We also sell the Ifor Williams range of commercial trailers, popular with builders, landscapers, construction and hire companies which include plant trailers, tipper trailers, flatbed trailers and tiltbed trailers. 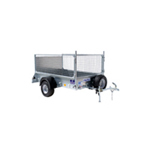 Our small domestic trailer range from Ifor Williams can be towed by a family car and can be used to take rubbish to the dump or for trips to the DIY or gardening centre. 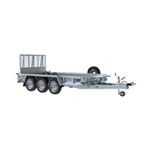 If you require an Ifor Williams trailer for transporting vehicles, then make sure to check out our car transporter trailer range. 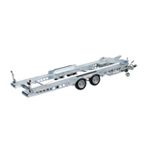 The Ifor Williams car transporter range is a popular choice with vehicle recovery companies, car dealerships along with motorsport enthusiasts and classic car collectors. 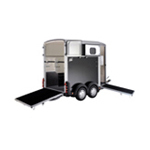 If you require a covered and enclosed trailer for transporting items unseen and protected from the elements, the Ifor Williams Box Van trailer range is an ideal choice. 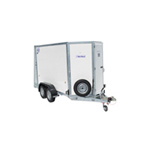 The Box Van range from Ifor Williams is popular with market traders to antique dealers, scout groups to mobile disco firms and bands and offers a range of sizes of available for sale. 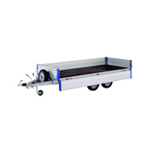 Ifor Williams Box Van trailers are also popular with motocross enthusiasts when used to transport motorbikes and accessories. Why not call into our Adare Machinery showrooms and view the full range or call us on 061 397777 where a member of our team will be happ to assist with any inquiries.